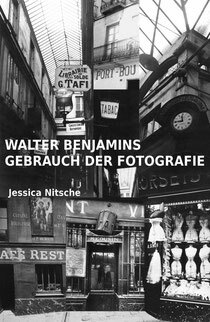 Jessica Nitsche teaches media studies, art and German literature with special emphasis on theories of photography and Walter Benjamin’s writings. She focuses her teaching and research on: theory, aesthetics and history of media; documentary strategies in film, photography, literature and theatre; constellations of aesthetics, ethics and politics; visual history; African cinema and (history of) photography; Walter Benjamin and Weimar culture; critical theory of the Frankfurt School. She is the author of the book, Walter Benjamins Gebrauch der Fotografie, and worked on the new critical edition of Benjamin’s essay, Das Kunstwerk im Zeitalter seiner technischen Reproduzierbarkeit (The Work of Art in the Age of Its Technological Reproducibility).